Grew Up... bullied at school and underappreciated by his family. But Cisco eventually found his place in the world by utilizing his brilliant mind. Living... in Central City, where strange things have been happening ever since S.T.A.R. Labs’ particle accelerator exploded, creating a group of superpowered “meta-humans.” Since Cisco was part of the team that created the accelerator, he feels responsible for stopping these metahumans from hurting the city. Profession... mechanical engineer and member of a superhero support team. Along with Harrison Wells and Caitlin Snow, Cisco works with The Flash a.k.a. 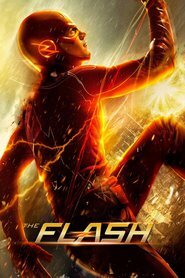 Barry Allen: a forensic assistant-turned-speedy-superhero. Specifically, Cisco designs new “toys” to help The Flash, including a high-tech suit and a super fast treadmill. Cisco’s also a computer genius who can hack into even the most highly-protected systems with ease. Interests... referencing movies and comic books, designing new tech, and naming super villains. As Cisco puts it, “The whole naming the bad guys thing? That's my jam.” He’s particularly proud of monikers like Captain Cold, Multiplex, and The Mist. Relationship Status... single. Though Cisco brags about his confidence with the ladies, he tends to be a little more bumbling than suave. Challenge... protecting Central City. While Wells and Caitlin are initially more cautious about Barry using his superpowers to help people, Cisco is immediately onboard with the idea of Barry becoming a superhero. Cisco believes helping people is always the right choice, even if he has to bend the rules to do so. Personality... laid-back, goofy, and sarcastic. Cisco is always quick with a joke and he finds it easiest to face tough times with humor, like when he quips, “This is like some Twilight Zone level stuff.” But don’t let his relaxed attitude fool you: When push comes to shove, Cisco is a brave and dedicated member of Team Flash. Cisco Ramon's popularity ranking on CharacTour is #695 out of 5,000+ characters. See our top-ranked characters and read their profiles.